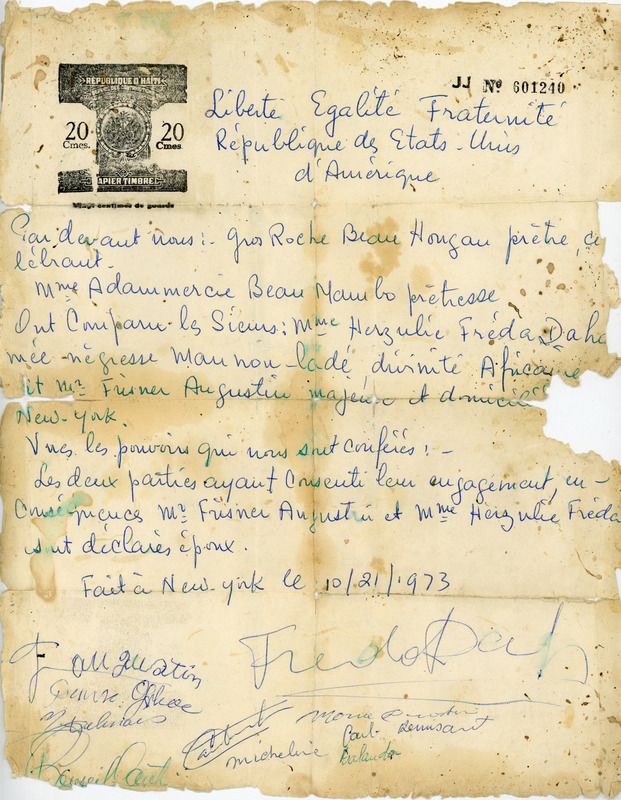 Frisner had married Èzili Freda Dawome on October 21, 1973, not quite a year after coming to New York from Haiti. His friend Oungan Mano Cadet conducted the marriage in his peristyle in the Bronx. I found the marriage certificate among Frisner’s personal effects after his passing in 2012. A wedding with a Vodou spirit follows the form of a wedding for two humans, with certificate, pronouncements, rings, champagne, and dancing. The human receives protection in exchange for devotion to the spirit. A man typically marries the two manifestations of Èzili: the sweet and romantic Freda (of Guinea Coast lineage), and the hot and combative Dantò (of Congo lineage). I assume Frisner married both, but only the certificate for Freda surfaced (shown here). 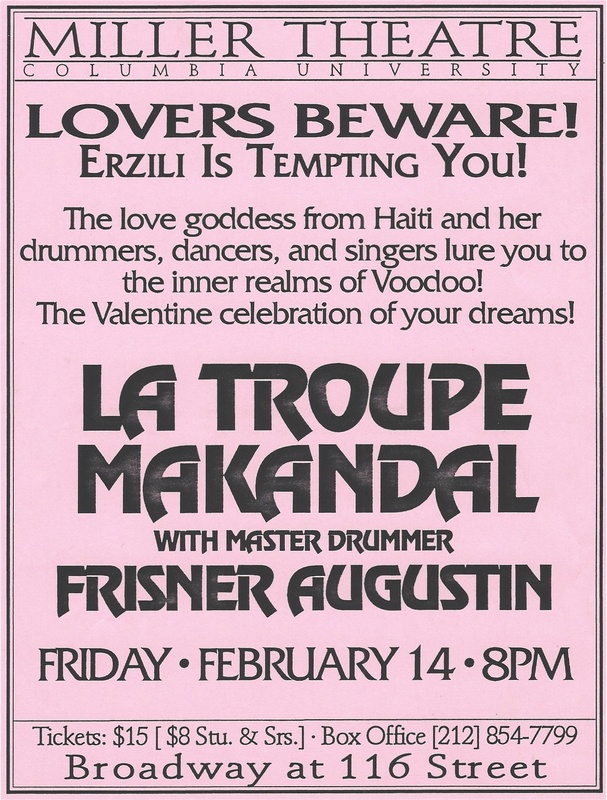 The Miller Theatre program leaned heavily toward Èzili Freda because it was Valentine’s Day, and she’s the romantic. Knowing that he couldn’t snub Dantò entirely, Frisner programmed a piece for her, too, right before intermission. Makandal has digitized the entire Miller Theatre program. You will see it online once we’ve completed uploading all of our holdings to a website. Remember, the archive is yours. Please help us finish by making a tax-deductible contribution here. Thank you!